The young people on our Step Up into Construction programme have been gaining some invaluable experience with local construction company Barnes Construction. This week they have been given the opportunity to visit their Festool site at Bury St Edmunds. Our Step Up into Construction courses aim young people (16-24 years) the opportunity to gain industry related training and qualifications required as a stepping stone into employment. Our Construction course aims to provide the young people taking part with the foundations for gaining their CSCS Card to allow them access to work on a construction site. 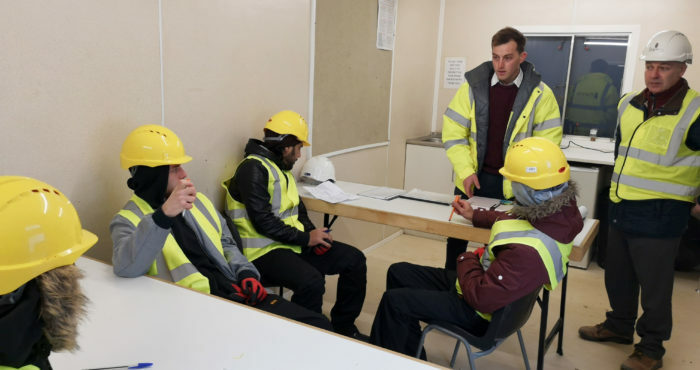 Their learning on the course is predominantly classroom based in preparation for gaining their CSCS cards, so it is really important and beneficial to the young people out of the classroom to experience and gain an insight of a real-life construction environment to support their learning. 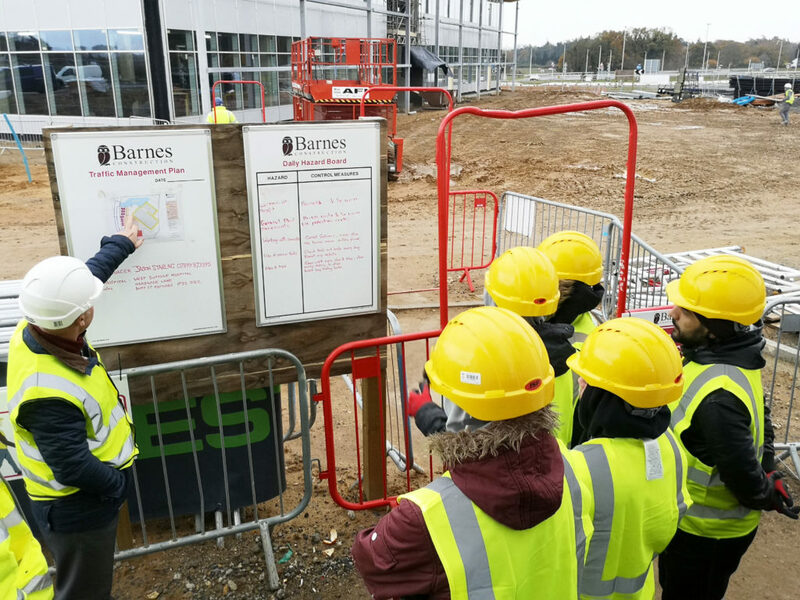 Barnes Construction Contracts Manager, Nick Timms and Trainee Site Manager, Lewis Walker, gave the students a good insight into the everyday running of a large construction project by covering a standard site induction. This is a very important procedure, which all operatives go through, to ensure safe and productive work on all of our sites. They also had the opportunity to have a Q&A session with the Barnes site managers. 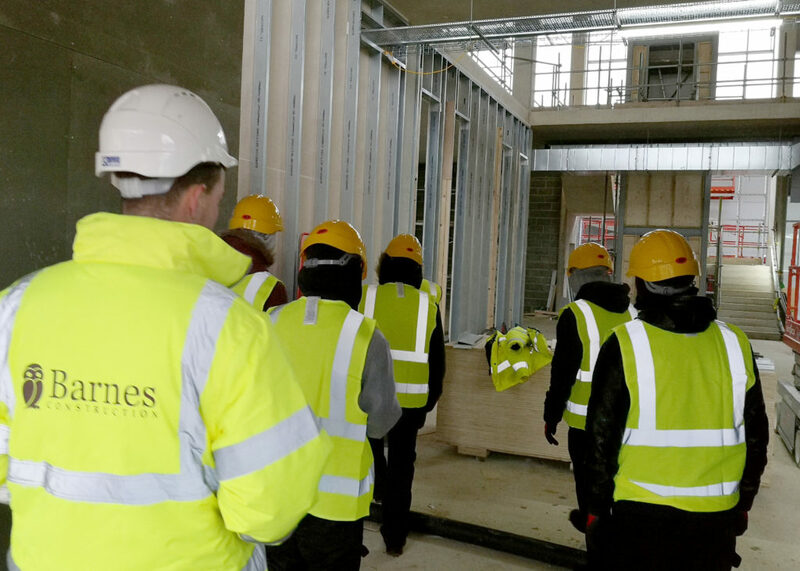 “The visit to Barnes Construction was a great chance for them to see what they had been learning in action and to see the theory of what they had been learning put into practice. On the behalf of the young people on the programme and Inspire Suffolk, we would like to say a massive thank you to Barnes Construction for allowing our young people this great opportunity to visit a live, working construction site!